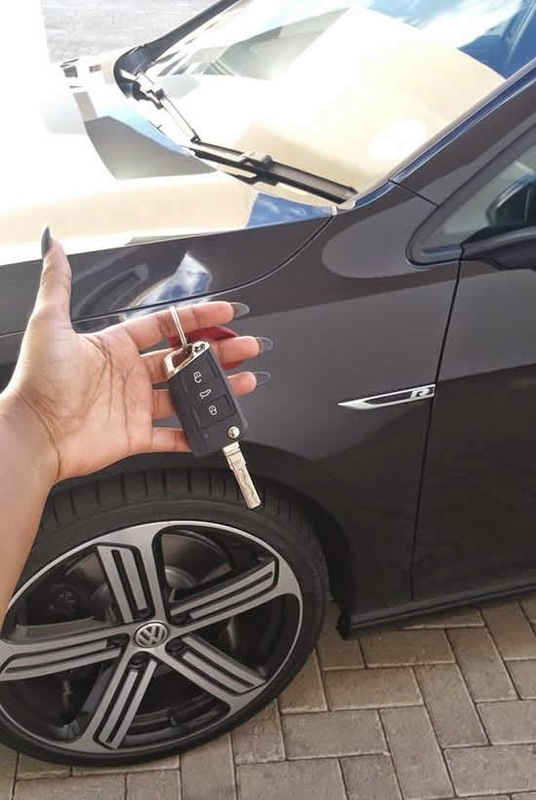 Big Brother Africa (The Chase) winner, Dillish Matthews, has bought herself a brand new car! The Namibian shared a photo of her latest purchase on social media and wrote, "Just picked my new baby up! This one is waaaaay faster yasssss! My brand new love! New business, new car new Attitude but still the same Dillish! Life is GOOD THANK YOU JESUS! I've named him Sven these German cars got me bad #WCLT #OneOfThebestWeeksOfMyLife."